The second annual Catering Insight Awards were held last Wednesday 30th November at The Underglobe London (underneath Shakespeare’s Globe Theatre) and Space Group enjoyed a night to remember. 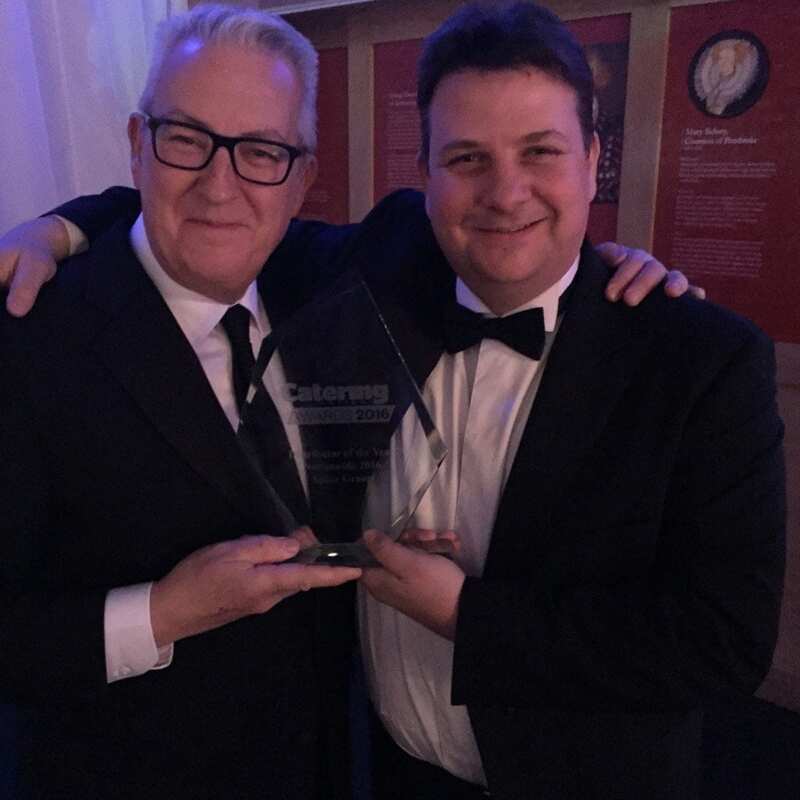 As well as a fantastic evening in a beautifully decorated setting, Space Group was honoured with the headline award of the night; National Distributor of the Year. This award recognises ‘a major distributor which has completed mammoth commercial kitchen projects to a high standard, up and down the country, while still offering a personalised, sterling service’. This award feels particularly special having been voted for exclusively by the catering equipment industry itself. In the Catering Insight Awards distributors vote on the supplier categories, and suppliers vote on the distributor honours. Ian Bidmead, Space MD said ‘We are absolutely thrilled to have won this award, it’s a fitting recognition to the team here across the Group who work so incredibly hard to deliver the best service to our clients. The Catering Insight Awards celebrate the best suppliers and distributors in the industry and the Awards bring together the best catering equipment companies in the UK, with 15 awards given out on the night. Overall it was a fantastic evening, in addition to winning the award we had a great time catching up with industry friends and making new contacts. On behalf of everyone at Space, a huge thank you to all who voted for us. We look forward to working together on projects in the future. Pictured: Malcolm Ball and Ian Bidmead with the National Distributor of the Year Award.